Samsung printers feature both attractive designs and small footprints along with quality output. With high print speeds, exclusive features and renowned reliability, these printers are optimal solutions. The Samsung ProXpress M3820DW is a robust monochrome laser printer, that combines high performance and ease-of-use to increase the efficiency of any business. The SLM3820DW prints high quality output at speeds of up to 40 pages per minute. With its large paper capacity, automatic duplexing capabilities and easy mobile printing, the Samsung M3820DW Printer will save you time and money, without compromising on print quality. 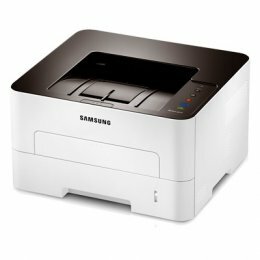 The Samsung ML 5017ND is a black and white printer from Samsung which will provide all your printing needs. 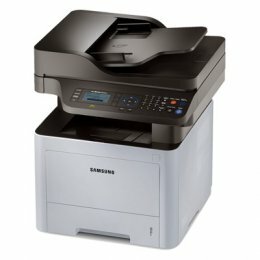 The Samsung ML5017ND is a great asset to any office large or small. Benefit from built-In duplex on the Samsung SL M2625DW giving you increased performance and productivity, whilst reducing costs. 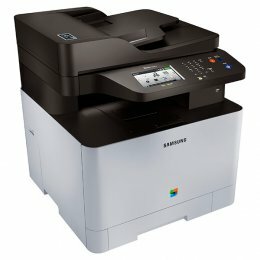 The lower power consumption and ECO mode of the SLM2825DW make it an efficient printer to use. Enjoy the sleek, professional, and silent SL-M2825DW that will enhance your home and office. 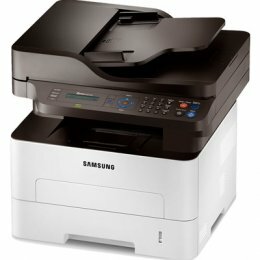 The Samsung ML 5012ND is a black and white printer. It can manage a heavy workload but is compact and space efficient. 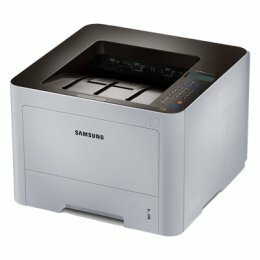 The anti-jam features on the Samsung ML5012-ND makes it pleasant and simple to use. The Samsung SL M2875FW is a reliable, affordable, easy to navigate Multifunction Printer. The high-performance Samsung Xpress SLM2875FW delivers at high speeds whilst still keeping costs at a minimum. The Samsung SL-M2875FD Multifunction has built in Wi-Fi and Wi-Fi direct, making it simpler than ever to share the printer with an entire network. 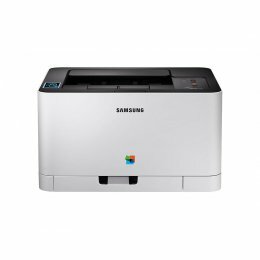 The Samsung ProXpress M3320ND is a robust monochrome laser printer, that features print speeds of up to 35 ppm. Powered by a Cortex™-A5 core processor and 128 MB of memory, it delivers unsurpassed performance for business applications. The SL M3320DW prints high quality output at with duplexing and networking as standard. With its large paper capacity, automatic duplexing capabilities and easy mobile printing, the Samsung M3320ND Printer will save you time and money, without compromising on print quality. 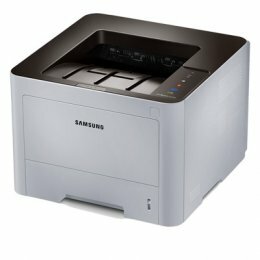 The Samsung ProXpress M3370FD is a multifunction monochrome laser printer, that can print, copy, scan and fax at speeds of up to 35 pages per minute. The SL M3370FD features both networking and duplexing for easy sharing and double sided printing. 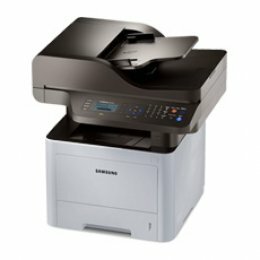 With its robust paper handling and easy mobile printing, the Samsung M3370FD Printer will increase efficiency in any business. The ProXpress M4020ND is a robust machine that delivers at speeds of up to 42 pages per minute. The SLM4020ND features a Cortex™-A5 core processor and 256 MB of memory, ensuring outstanding performance for business applications. The SL M4020ND Printer's high performance together with its ease-of-use allows workgroups to accelerate document and image processing for maximized efficiency. 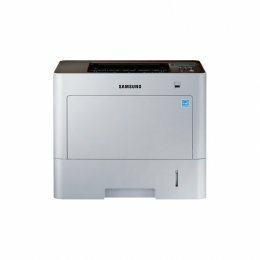 The Samsung CL1860FW is a classic 4-in-1 multifunction with print, copy, scan and fax capabilities. 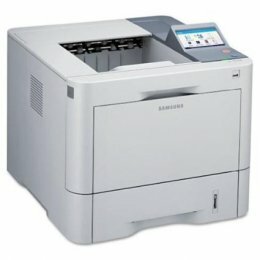 With quality color prints at 19 pages per minute, this Samsung MFC is ideal for any small workgroup. The 1860FW features a 4.3" color touch screen so you can control your MFC with ease. 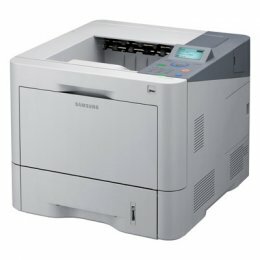 The Samsung SL M2875FD is a powerful, cost-friendly and simple to use MFP. The high-performance Samsung Xpress SLM2875FD produces fast results whilst also cutting your costs. The Samsung SL-M2875FD Multifunction has is designed as a sleek, professional, quiet device to fit perfectly into your home or office. 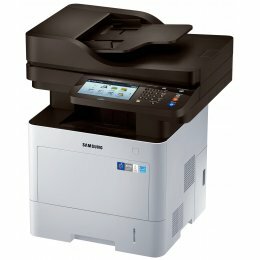 Copy, print, scan and fax in color with the Samsung C-2670FW. This Samsung Multifunction will print at 27 pages per minute on A4 paper. With the 2670 you can print documents and save images using a USB. Other features include scan to email, automatic duplex printing and direct printing from your mobile device. The ProXpress M4070FR prints at speeds of up to 42 pages per minute. Featuring a Cortex™-A5 core processor and providing 256 MB of memory, the SL M4070FR performs exceptionally well for business applications. Including a Duplexing Automatic Document Feeder that is able to process pages at up to 24 images per minute, all scan and copy jobs are a breeze. The easy to navigate SLM4070FR Printer's high performance ensures that your productivity will be increased. Print, copy, scan and fax with the Samsung Printer Xpress. Print and share wirelessly using the Samsung Mobile Print App on the M2885FW. The SamsungSLM2885FW will deliver prints in mononchrome at 29 pages per minute on a variety of media types including labels, envelopes and transparencies. The Samsung ProXpress M3870FW is a multifunction monochrome laser printer, that can print, copy, scan and fax at speeds of up to 40 pages per minute. The SLM3870FW features a duplexing automatic document feeder (DADF) so that your scan and copy jobs take no time or effort. With its robust paper handling and easy mobile printing, the Samsung M3870FW Printer will increase efficiency in any business. 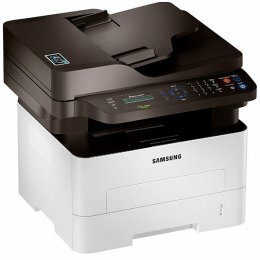 The Samsung SLM4080FX Printer will copy, print, scan and fax in black and white. It includes a 7 inch touch screen to easily control the MFP. Scan at a speed of 60 double sided images per minute and print at 40 pages per minute in black and white when using the M4080FX. The Samsung Color Laser Xpress C430W delivers high quality prints at a speed of 18 pages per minute. Using ReCP technology and Smart Color Management System, the SL-C430W’s produces smooth images and clean text. Enjoy simplified mobile printing with Near Field Communication (NFC) Technology and Wi-Fi Direct. Simply tap your mobile device to the C430W Printer and print just about anything from your smartphone or tablet. The Samsung ProXpress M4030ND will deliver crisp, clear prints at a speed of 42 pages per minute. With a maximum 2,850-sheet capacity, the SL-M4030ND will be able to print your largest jobs while saving you the hassle of reloading. Enjoy effortless mobile printing and secure office printing with the Samsung M4030ND. 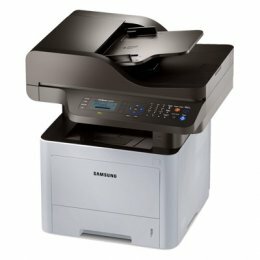 Samsung printers are among the most cost-effective, featuring a significantly low cost per page as well as low total cost of ownership whether printing black and white or color.